The reason of this tape release is a live acquaintance between these two projects. 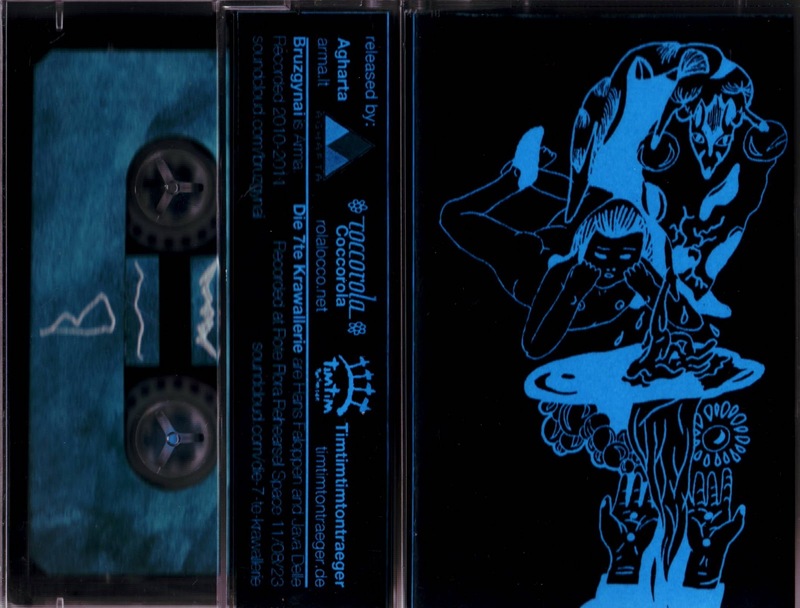 The idea to release common tape was born in the result of exchange - Bruzgynai live in Hamburg and Die 7.te Krawallerie live in Vilnius. So, this is 3 label release (Agharta, Cocorolla, Timtimtontraeger), each one proposes 50 copies. Cassette price: 5 Eu including post, Paypal.